Size-Up tp 3.3 ft. long. One of the most colorful species of the genus. 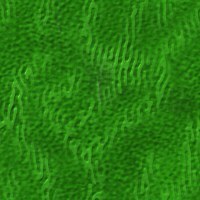 Color: Green with rhomboid marking. (Its coloration provides camouflage). 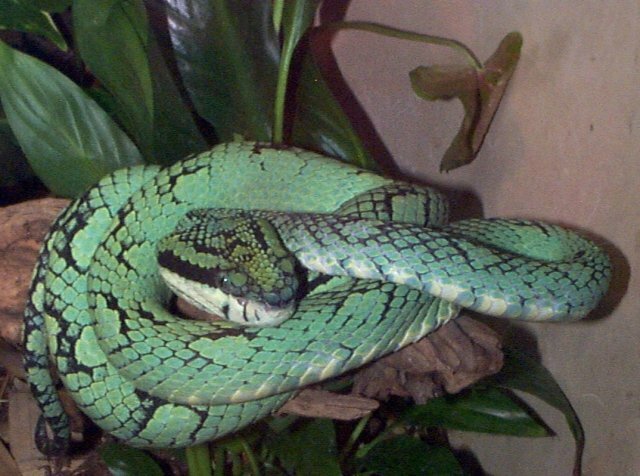 The Ceylonese tree viper is a snake that is very arboreal and somewhat sedentary. It is a venemous snake. 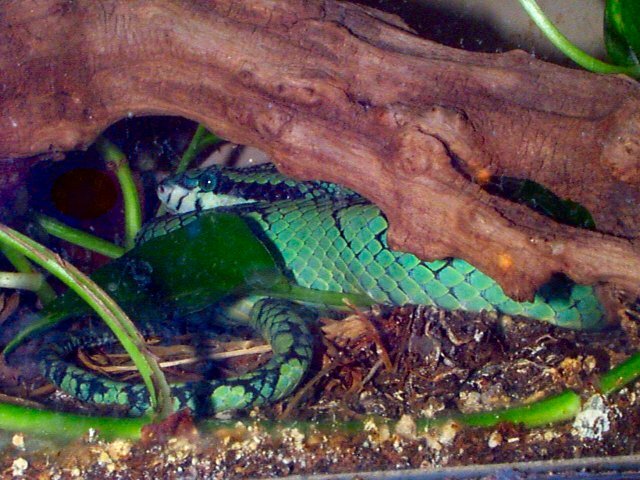 This snake is a tree snake and tree snakes have a tendency to be long, thin, and very light. This is to facilitate climbing trees. All snakes are meat eaters. Snakes susually attack only as a last resort, and tend to hide all the time. A snake's temperature changes with the temperature of their environment because they are cold-blooded. They are able to survive in changing habitats. They do this by basking in the sun to raise their body heat or by hiding in the shade to cool down. A snake's smell is its most important sensebacause they don't rely on sight as much as humans do. Its skeleton consists mainly of a skull, backbone, and ribs. 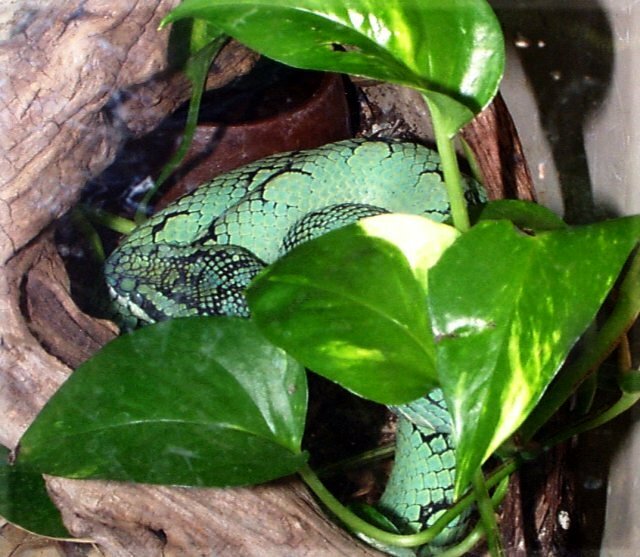 The Ceylonese Tree Viper at the Fort Worth Zoo didn't really do much due to the fact that it doesn't have much space to move around in. One of my personal observations about the Ceylonese Tree Viper is that they are beautiful snakes! Their color really make them stand out because their colors can stand out yet they can also be camouflage protection for the snake.